Tata Steel 2014 is back with exciting chess and a strong lineup. This year the tournament changes format, name, and playing locations. From 2014 the event will be known as Tata Steel Masters. It will include 12 players, a round will be played in the Rijksmuseum in Amsterdam, another in the High Tech Campus Eindhoven, and the rest in Wijk Aan Zee. The tournament director of Tata Steel Chess 2014, Mr. Jeroen van den Berg, gave an interview to Chessdom.com just a few days before the start of the traditional event. 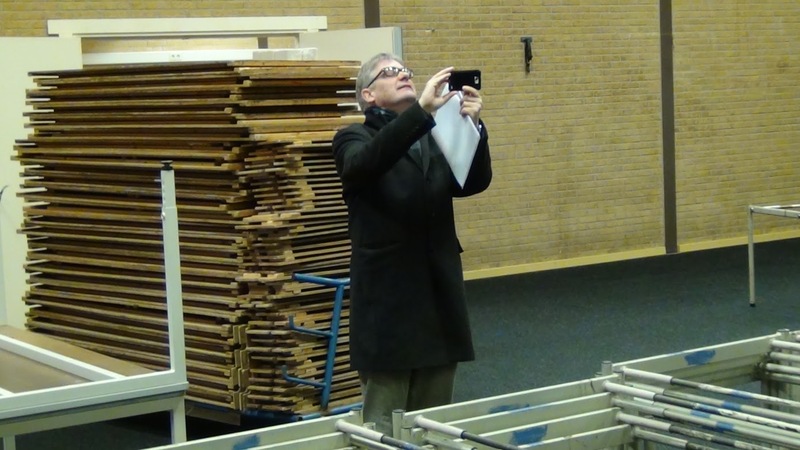 Chessdom: Dear Jeroen van den Berg, congratulations on organizing yet another edition of the Tata Steel tournament! The chess world is used to starting the year with Tata. What can we expect from this year’s edition? Jeroen van den Berg: We have changed our concept this year. The Grandmastergroup A goes back to 12 players and will be called Tata Steel Masters now. The B-group still consist of 14 players and will be called Tata Steel Challengers from now on. We have no longer the Grandmastergroup C, and the Pavilion on the Green Village has also disappeared. Chessdom: Most of the players are within 100 ELO points and the rating span is only 140 ELO points. Comparing to last year where the rating span was 250 ELO points, do you expect more fierce battles and more surprises? Jeroen van den Berg: That is always difficult to say in advance. Generally speaking I expect always good fights because I know that most of the invited players in our tournament like to fight. But sometimes it also depends on small factors, such as form of the day, self-confidence, motivation. In general I know that the players are ready to battle. Chessdom: As a contrast we have a B group, aka the Challengers tournament, where the traditional youth and experience multinational mix is present. Jeroen van den Berg: The Tata Steel Challengers is a kind of combination of what the B- and C-tournament were: some world class players, some Dutchmen, some female top players and some rising talents. I am very happy with the result of this group. Chessdom: What coverage can the chess fans expect during Tata Steel? Jeroen van den Berg: Since we no longer have the Tata Steel Chess Pavilion, we have no space for live audience commentary for the public on the games. However, we will do so in a local school, but only in the weekends. That is the reason that we will start Live Stream Commentary this year. We want to give commentary for everybody. Apart from the hosts Yasser Seirawan, Lawrence Trent, and Dirk Jan ten Geuzendam, we have many famous and interesting guests and interesting films about the tournament as fillers; plus many interviews with the players, so I am sure it is worth following this. Chessdom: Tata Steel is a traditional tournament, already in its 76th edition. Yet, it is always developing and evolving, presenting novelties every year. This year a round will be played in the Rijksmuseum in Amsterdam and another in the High Tech Campus Eindhoven. Chessdom: Europe is still in financial crisis. Is this affecting the organization of the Tata Steel tournament, or is the global rise of interest in chess countering the negative effects? Jeroen van den Berg: I cannot deny that the economic situation had some influence on our new plans, but on the other hand I am quite happy with what we are creating now. If the idea of ‘bringing the tournament to the rest of Holland’ works, it could be interesting to repeat this concept in 2015 with new cities. Why not. But first we have to wait and see how people, and the players of course, will respond. Chessdom: The Hoogovens/Corus/Tata Steel sponsorship is the longest running sports connection in the Netherlands, starting in 1938. Can we expect the tradition to continue? Jeroen van den Berg: Well, we are continuing in 2014 already and I have good hope for 2015 as well. We are very proud of this long tradition, and we receive positive feed-back from the Dutch sports community.